Situated just north of Chaoyang Park / around the corner from Lucky Street, find one of our newest locations: “CANADA”! Hey! Enter through the East Gate via smaller door 30 meters east of Main Gate. 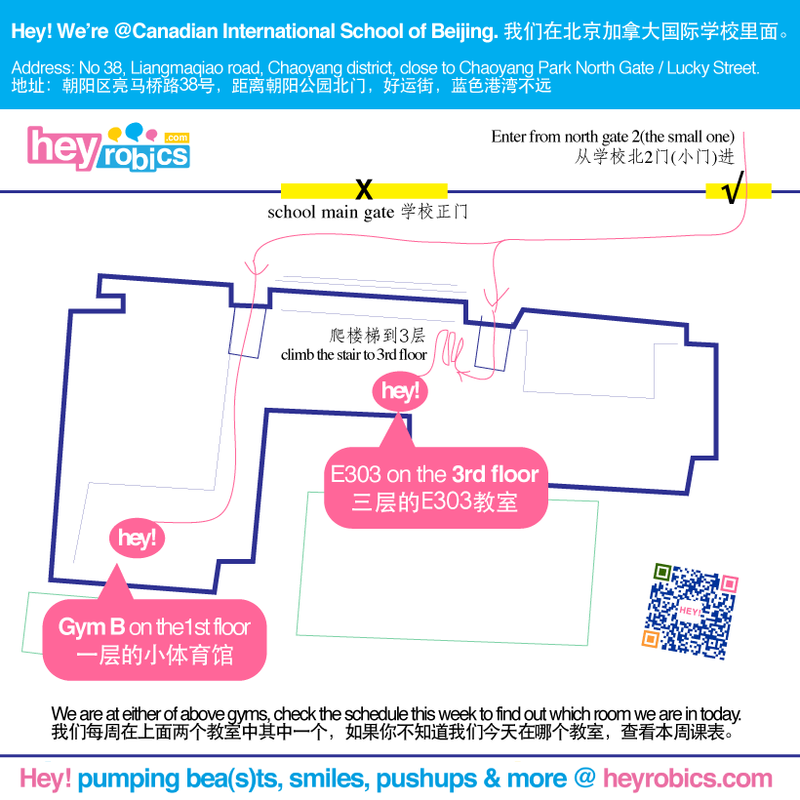 show your HEY member card to the security or tell them you come to Heyrobics, then follow the arrow above, we are in Gym B in the 1st floor or E303 room on the 3rd floor! Note: toilets/basic changing room provided opposite gym entrance indoors.